The United Nations (UN) High Commissioner for Human Rights (OHCHR) released a report, on Wednesday, identifying 206 companies from around the world that are doing business linked to Israeli settlements, built in the occupied West Bank and in violation of international law. The long-delayed report was initially intended to include the names of companies, but, reportedly, after intense pressure from the US and Israel, the published report included only the number of companies from each country, rather than naming them. 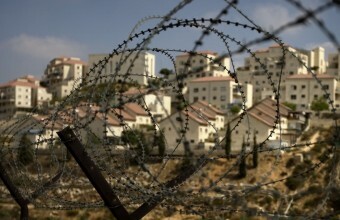 The report noted that the majority of the countries on the list, 143, are located inside Israel and the settlements themselves, while the second largest group, number 22 countries, are located in the US. The remaining companies are located in 19 other countries. The UN report added that the database was not yet complete. According to Ma’an, between 500,000 and 600,000 Israelis live in Jewish-only settlements across occupied East Jerusalem and the West Bank in violation of international law.